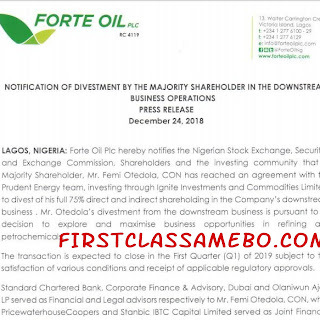 Nigerian oil magnate, Femi Otedola thas transmitted a letter to the Nigerian Stock Exchange informing them of his decision to sell his 75% direct and indirect shareholdings in Forte Oil. 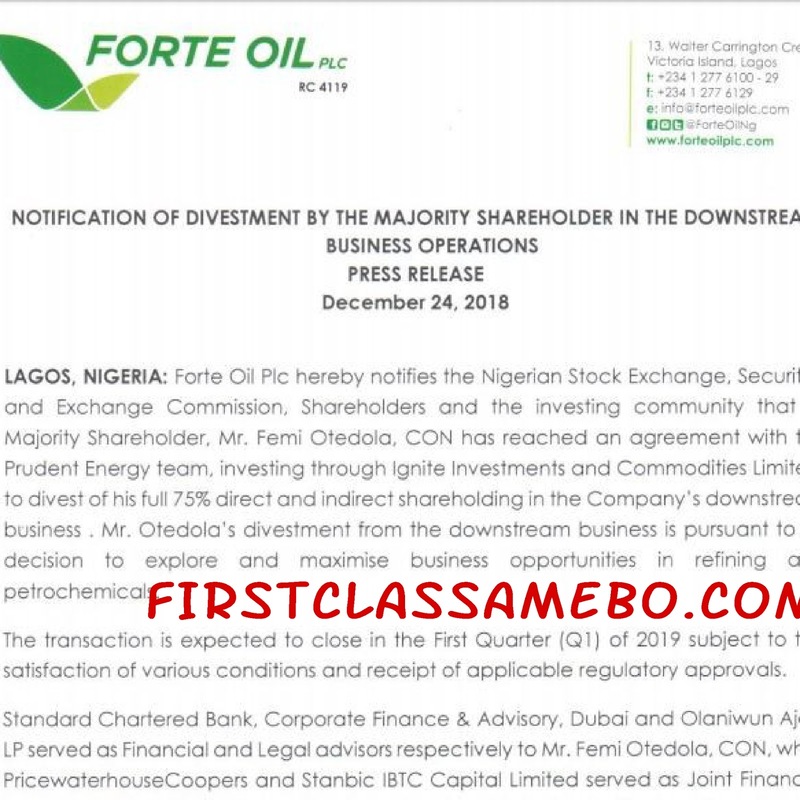 In the letter signed by Akinleye Olagbende, the general counsel of Forte Oil, Otedola said he was divesting from the company in order to “explore and maximise business opportunities in refining and petrochemicals”. Otedola has been the majority shareholder in the company since 2007, when the Incorporated Trustees of NNPC’s Pension Fund divested its stake to the Otedola-owned Zenon Petroleum & Gas Limited. 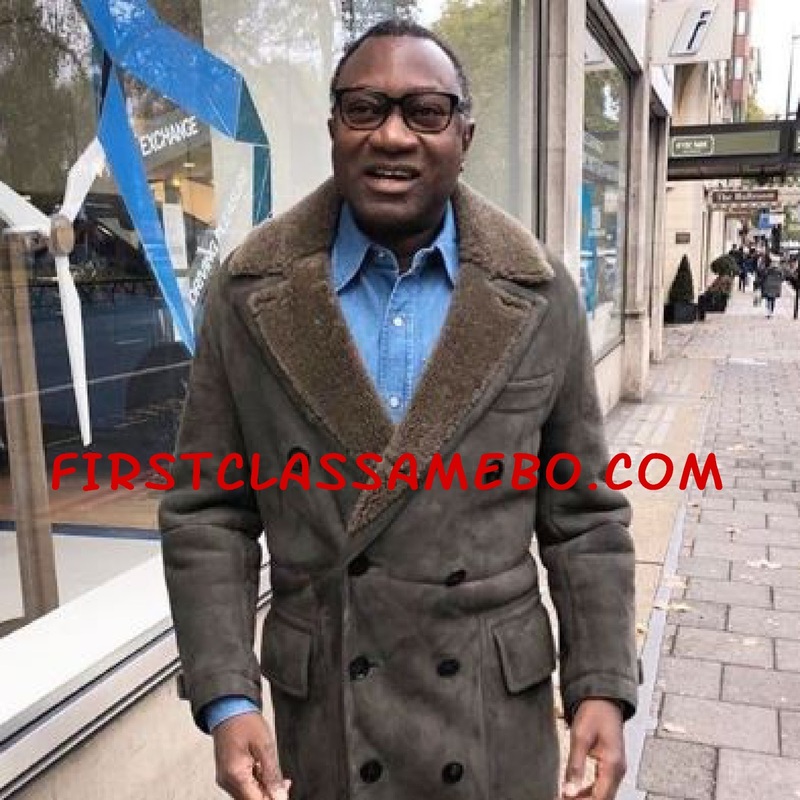 The sale of his shareholdings is expected to be completed in the first quarter of 2019 “subject to the satisfaction of various conditions and receipt of applicable regulatory approvals”. The press release clarified that an offer, solicitation or sale of ordinary shares or any other securities is not permitted.